As a thank you for their service and dedication to excellence as a member of the military, the United States government maintains a number of different programs that offer financial assistance to veterans. Whether the assistance be for college, housing or for simple necessities, military veterans deserve as much help as they can get. The following five government programs offer extensive financial assistance to military veterans who are in various stages of life. Veterans and current military members who are seeking a college degree can receive financial assistance from the Department of Education. Veterans are eligible for a variety of levels of benefits depending on how long they served and whether or not they are currently active. In a large number of cases, veterans are eligible for full college benefits meaning that the Department of Education and the Department of Defense will pay for their entire college education in full. 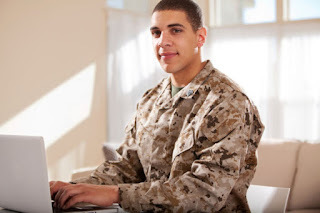 Those who might not be eligible for enough military grants to cover their college education can apply for specialized college loans that are deferred and offer significantly reduced interest rates when compared to other types of loans. VA home loans are perfect for military veterans and their families who wish to purchase a home. VA home loans from institutions like Low VA Rates are specialty loans that are insured by the federal government. Unlike other federal mortgage insurance programs, these loans often require little to no down payment, and borrowers don't have to purchase mortgage insurance as part of the process. The Office of Veterans Affairs can assist with getting these types of loans and with other financial issues that veterans experience after being discharged from the military. While many veterans may not be aware of this, anyone who has served in the military is eligible to receive property tax exemptions. These types of exemptions are for veterans who own homes in certain county jurisdictions across the United States. To take advantage of this exemption, veterans need to contact tax assessor's office and file a property tax exemption form. Veterans who are disabled are eligible to receive an increased exemption amount based on their property value and annual income. Veterans who have become legally blind are eligible for yearly financial assistance of up to $1,100. To qualify for this financial assistance, veterans must have served at least 90 days in the military beyond their specified training period. Most counties across the country currently offer one similar to the program that is being run by the County of Albany in New York. The National Cemetery Administration assists veterans and their families with the cost of funerals and other expenses that occur when a loved one passes away. From burial allowance to headstones, burial flags and more, veterans can sign up for these services early on in life to help them prepare for the future. The United States government provides billions of dollars every year to veterans who are in need. From buying a home to seeing a doctor and attending college, veterans have a number of options to choose from for financial assistance on a lifelong basis after they've been discharged from the military.